After a rather bumpy road for the NBA Live series in recent years, it appears that NBA Live 14 will be a fresh start. EA SPORTS has confirmed today that NBA Live 14 will release exclusively on the Xbox One and Playstation 4 systems later this year. Confirming the exclusivity to GI International, the game’s executive producer Sean O’Brien has stated that the game will in fact skip current-generation systems. 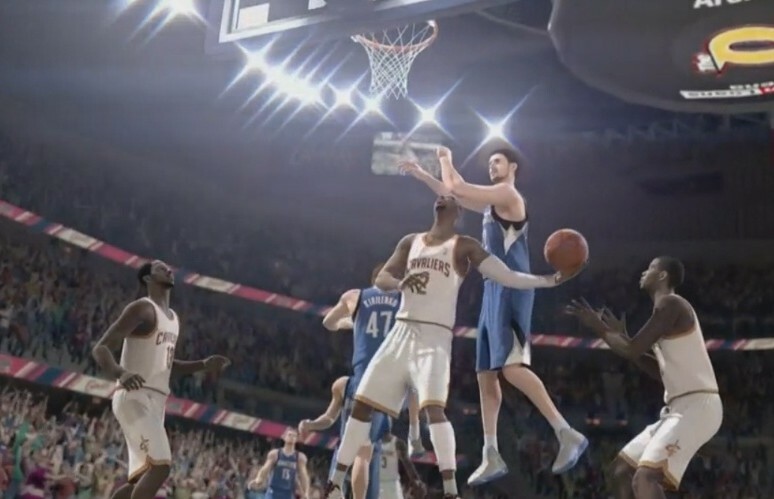 With such a large install base available on the Playstation 3 and Xbox 360, it’s a bit surprising that EA SPORTS would release the game solely on next-gen.
NBA Live 14 will be built completely on the Ignite engine. EA SPORTS will be building what seems to be all of their future sports titles on this engine, so that gives hope to the quality of the game being rather high this time around. What do you think about the NBA Live series skipping current generation systems? Be sure to let us know what you think by leaving us a comment below, or discuss NBA Live 14 with us via Twitter and Facebook.